By Lauren Carroll, Katie Sanders on Sunday, February 22nd, 2015 at 6:06 p.m.
Something as simple as how to define the enemy in the United States’ current fight in the Middle East has become a focal point in recent days. Are members of the Islamic State "Islamic" extremists? Or are they, as President Barack Obama calls them, "violent extremists"? "I've never been more worried about my country than I am today in terms of radical Islam," Sen. Lindsey Graham, R-S.C., said Sunday on ABC’s This Week. "And yes, it is radical Islam," Graham said, joining a growing number of conservatives critical of Obama for avoiding blunt talk about the Islamic State and its goals. Is the Obama administration sacrificing honest dialogue for political correctness, or is all of this a petty word debate ready-made for cable news? As PunditFact learned, it’s a question not easily settled. In recent months, Obama has been careful to set the Islamic State apart from the rest of the Muslim world. Critics have called out Obama for being, as Indiana Gov. Mike Pence said on Fox News Sunday, "unwilling to call Islamic extremism what it is." While Obama has not used those words, he has acknowledged Islam plays a role in the Islamic State’s strategy. Obama has said that even though the Islamic State uses religion to justify its extremism, its ideology does not mesh with mainstream, modern Islamic thought. "They try to portray themselves as religious leaders — holy warriors in defense of Islam. 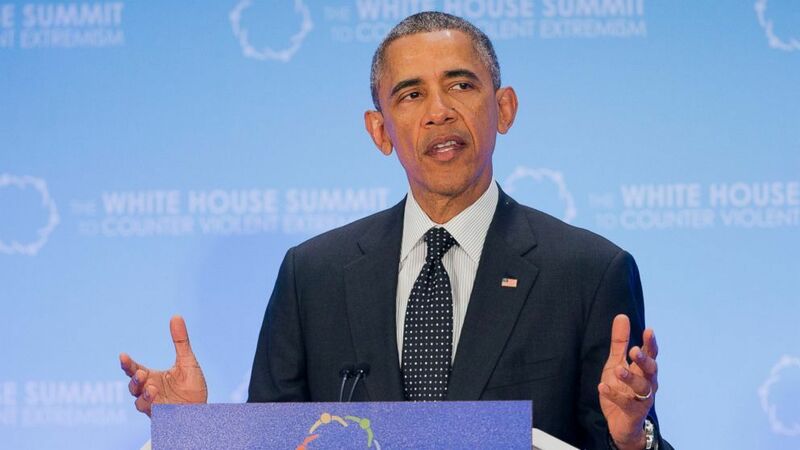 That’s why ISIL presumes to declare itself the ‘Islamic State.’ And they propagate the notion that America — and the West, generally — is at war with Islam," Obama said at the White House Summit on Countering Violent Extremism last week. "We are not at war with Islam. We are at war with people who have perverted Islam." Some have noted that this isn’t that different than some of former President George W. Bush’s language following the Sept. 11, 2001, terrorist attacks and at the onset of the war in Afghanistan. "This great nation of many religions understands, our war is not against Islam, or against faith practiced by the Muslim people. Our war is a war against evil," Bush said in 2002. Why such a careful choice of words? Experts we contacted offered a few theories. For one, the Islamic State is just one of numerous jihadist groups that the United States is fighting in the Middle East and North Africa, including al-Qaida and its affiliates. And the Islamic State has several qualities that set it apart from other jihadi groups, such as their desire to immediately create a caliphate. In that sense, it would be misleading to lump these groups into one singular enemy code-worded Islamic extremism, said James Gelvin, a history professor at the University of California Los Angeles. Additionally, several countries helping the United States fight the Islamic State and other terrorist groups are Muslim nations, including Jordan and Saudi Arabia. In those cases, it is in the United States’ interest not to be at war with a religion. And, as Bloomberg’s Eli Lake points out, there are some Muslims around the world who support some radical ideology practiced legally in some Muslim countries, such as honor killings, but they disavow terrorism. The tightrope act has had some success, officials say. Declassified files from Osama bin Laden’s compound show that the Obama administration’s decision to try and separate terrorist groups from Islam had negatively impacted al-Qaida’s brand. Bin Laden wrote that Muslims were less likely to feel as if they belonged to al-Qaida because the Obama administration had "largely stopped using the phrase ‘the war on terror’ in the context of not wanting to provoke Muslims," according to the Washington Post. What is the connection between Islam and the Islamic State? Most of the world’s 1.6 billion Muslims would say the Islamic State is not at all close to Islam — at least not modern interpretations. The group’s barbaric style of fighting, for example, is contrary to classical Islamic teachings on warfare that stress not harming non-combatants, such as aid workers, journalists, women and children, said Edgar Hopida, communications director for the Islamic Society of North America. "They are Muslim because they accepted the religion of Islam," he said. "But are their actions reflective of Islamic teachings? That answer is, no." But just as in other religions, moderates and fundamentalists within Islam rarely see eye-to-eye on interpretations of the Koran. The Islamic State’s "penalties, punishments show that its people do not know Islamic law, which is why now the other Arab states are fighting back," said Khaleel Mohammed, a San Diego State University religious studies professor. "It would be disingenuous of me to say that they are outcasts, however, because if you interview many Muslims, you will find that they might not believe all the stories we are hearing, and might assume that the ISIS are being maligned." The Islamic State adheres to strict, literal interpretations of the Koran and Islamic teachings rooted in 18th-century religious philosophy called Wahhabism. This ideology, the dominant faith in Saudi Arabia, is focused on a return to the "truth faith" of the first caliphate established after the death of Mohammed, a time when Islam was not "polluted" by Christianity, paganism or governmental interference, said Richard Brennan, a Middle East expert at the nonpartisan think tank RAND Corporation. The result is a puritanical practice of Islam that views government as a problem within society, as a man’s allegiance should only be to allah. For some recruits, the Islamic State represents a "fight against the normative world order" of Shia rule, Sunni suppression, and Western colonization and invasion, Mohammed said. "The idea is that after centuries of weakness, some Muslims are fighting back." The Islamic State goes even further than traditional Wahhabism by adhering to takfir — which is the belief that some people who say they are Muslim are not truly Muslim, and therefore there is reason to kill them, Gelvin said. The vast majority of the Islamic world tends to believe that if someone professes they are Muslim, then they are, no matter how they specifically practice their faith. Even al-Qaida and other Islamic extremist groups don’t accept takfir, Gelvin said. So what should we call the Islamic State? Experts were divided on how Obama should refer to the jihadists. It would not be wrong to call the Islamic State an "Islamic extremist" group, Gelvin said, but it’s unnecessary to emphasize the religious aspect when "their doctrine is exceedingly unpopular among most people who consider themselves Muslims." Brennan of the RAND Corporation said Obama is "too cautious" because Islamic State teachings reflect a strain of Islam. "It is a strain that has attracted at least 40,000 followers, and probably more," he said. Daveed Gartenstein-Ross, senior fellow at the Foundation for Defense of Democracies, said Obama’s public description of the group is not problematic so long as sufficient effort is put into understanding what the Islamic State wants and why. Too often, he said, analysts downplay the religious element of extremist groups. Just as Muslims worldwide refused to take up bin Laden’s brutal brand of Islam, the vast majority of Muslims are also not heeding the call of the self-proclaimed caliph of the Islamic State, Abu Bakr al-Baghdadi. Tufts University religion professor Kenneth Garden said accepting the terror group’s self-description would amount to "an own-goal" by the United States. "I am confident that eventually the butchers of ISIS and their like will be roundly rejected and fade away," Garden said. "But I am afraid this is the work of a generation. There is no quick fix for this, and little role for non-Muslim voices."